Phast Phreddie the Boogaloo Omnibus. ••• Saturday, Jan 13 – WHAM-O WATUSI: Hosted by Phast Phreddie the Boogaloo Omnibus, The WHAM-O features the boss sounds of the bossest records as played by the bossest disc jockeys in the world–and we do mean the world! Guest DJs have come from such exotic places as the Netherlands, Canada, Mexico and Pittsburgh to spin their ultra-cool, ultra-atomic records at the WHAM-O WATUSI. On the 13th, Guest DJ will be Hiromu Yanagiya–a fellow born in Hawaii of Japanese descent. He is one of the host DJs of REBEL NIGHT (see next entry). It all happens at the Bootleg Bar (1438 Myrtle Avenue, downtown Bushwick, Brooklyn). We swing from 10pm to 4am. The WHAM-O WATUSI–Savage rhythms for a savage species! No cover. ••• Friday, Jan 17 – REBEL NIGHT is the most fabulous Rock’n’Roll sock hop of all time! Hosted by a trio of crazy Japanese Rockabilly record collectors, this is a super boss, rock-em, sock-em party. DJs Junichi, Seiji and Hiromu know their stuff and they bring it each month; and they have been doing so for more than 12 years. Dig the grease. Dig the hot wax. Dig the chicks doing the stroll. On this night, guest DJs will be Mike N Stein (Memphis Morticians, Chills ’n’ Fever). He’s got a stash of trash that will put a gash in your dash! Also appearing will be Phast Phreddie the Boogaloo Omnibus who has records that are black and round–never square. It all happens at Diviera Drive (131 Berry Street, Williamsburg, Brooklyn). We swing from 10pm to 3am. Bring your boppin’ shoes! No cover. It’s as easy as A. B. C.–Always Be Cool! ••• Saturday, Feb 3 – SUBWAY SOUL CLUB – That’s right, the SUBWAY SOUL CLUB is back! New York City’s finest and longest running, semi-regular Sixties soul music dance party will take place once again, as hosted by Lady Dawn. Joining resident DJ Phast Phreddie the Boogaloo Omnibus will be Connie T. Empress, AKA the Empress of Soul, and DJ Honky. The Empress was the den mother of the late, lamented Empire State Soul Club–New York’s original soul music dance party. DJ Honky was one of the driving forces of the legendary Dig Deeper series of soul music concert/dance extravaganzas from a few years ago. It all happens in what may just be the greatest event space imaginable: the Gemini & Scorpio Loft in Gowanus, Brooklyn. This is a secret location, so in order to find the joint, you must go to the Subway Soul Club website: subwaysoul.com/contact Send a message asking for the location of the Gemini & Scorpio Loft and a message containing the address will be instantly sent to you. Action takes place from 9pm to 3am. Only $10 cover charge. 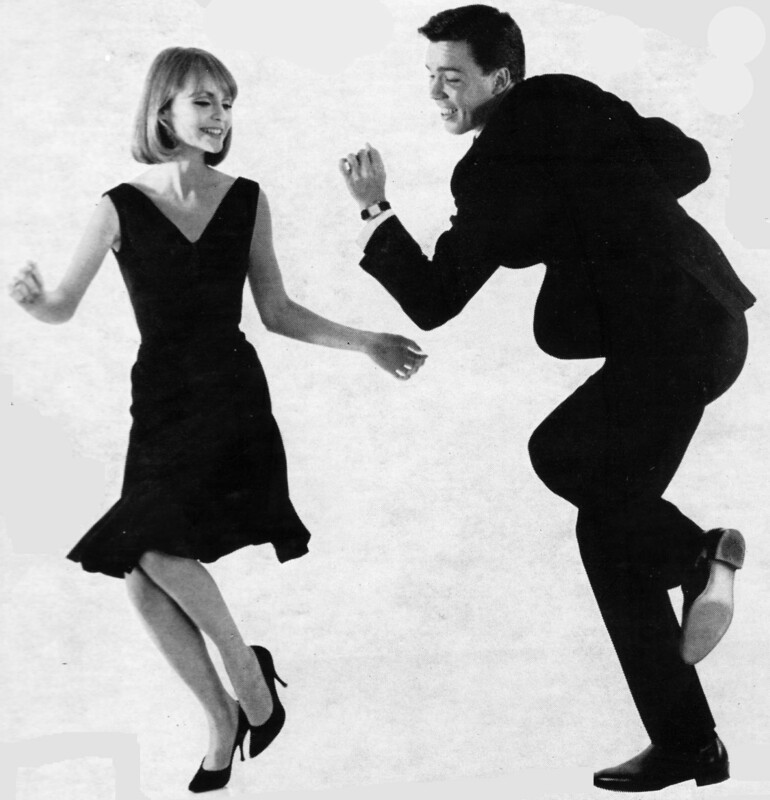 Dance all night to fabulous Sixties soul music, Go-Go beats and organ grooves. This is the swingin’est party out there–don’t miss out! ••• Saturday, Feb 10 – WHAM-O WATUSI: Once again Phast Phreddie the Boogaloo Omnibus makes with the boss sauce. Guest DJ will be Kurtis Powers–a hot DJ who swings with a Moderniste groove. He has a groovy hustle called The Face Radio that you may dig here: https://thefaceradio.com Mr. Powers will make some of that hustle come alive at the WHAM-O WATUSI! The WHAM-O WATUSI takes place at the Bootleg Bar (1438 Myrtle Avenue, downtown Bushwick, Brooklyn). We swing from 10pm to 4am. The WHAM-O WATUSI–Savage rhythms for a savage species! No cover. ••• Monday, February 19 – STORMY MONDAY is a new concept in early week, evening drinking and listening experiences, as put forth by our new friends at the Jupiter Disco–a cool new bar on the far reaches of East Williamsburg. Every Monday night features a different DJ who will select sound recordings from the middle of the previous century in order to convey a groovy audio atmosphere (Read: soul, Motown, rock, pop from the Sixties). Phast Phreddie the Boogaloo Omnibus has already swung this joint twice, and each time a happening happened. On February 19 he will be back for more. The Jupiter Disco (1237 Flushing Avenue) is conveniently located near the Jefferson stop on the L Train. Action takes place between 9pm and 2am. No cover. • Please note: The WHAM-O WATUSI is generally held on the first Saturday of the month. These two WHAM-Os have been moved to the second Saturdays in order to accommodate other happenings. • Also, please note that official Boogaloo Bag photographer, Miss Nancy “Jeannie” Gardner, has taken it upon herself to bake yummy cookies for each event at which the Boogaloo Omnibus appears. Even if you don’t feel like dancing to the heavy beat, you do have a sweet tooth, don’t you? Plenty to dig at Wang Dang Doodle events. WHAM-O WATUSI swings all night, all frantic. Host Phast Phreddie the Boogaloo Omnibus and special guest DJs from around the world will keep the place jumping with wild watusi music. Savage rhythms for a savage species! It all happens at The Bootleg Bar (1438 Myrtle Avenue, Bushwick, Brooklyn.) No cover! WHAM-O WATUSI takes place on the first Saturday of the month. Watch this space in case of changes. THE BIG TEN INCH – Phast Phreddie the Boogaloo Omnibus hosts this marvelous gathering of 78 RPM aficionados who will spin their shellac and devour pizza right in front of your eyes! There is nothing else in the world like THE BIG TEN INCH! Dig the really old noise the way goddess intended it to be played!